DNA testing has become the latest tool for genealogists to research their family history. But have you asked yourself how to interpret your Ancestry DNA test results? 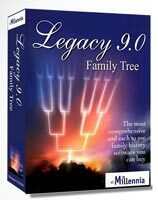 This technology claims to give the family historian a link to the past. Another benefit is that it can connect you with distant cousins. The results you get back though can be quite confusing. So how do you actually interpret these test results? What do the results mean?! You’ve taken the next step with your research and now your results are finally ready to be viewed online. You’ve waited for what has seemed to have been an eternity for the results of your DNA testing. But what does all the data really mean and how can it help you to progress with your family history? This post will look at the top questions you may have asked yourself about your AncestryDNA test results. If you have used a different DNA test then please keep reading as all test results are pretty much similar, and so your question maybe answered here. If you have not taken the next step with your family history research and purchased a DNA testing kit then continue reading as this post will discuss what you can expect from such testing. Are my results specific to my maternal and paternal lines? How can I link my DNA results to my family tree? How do I interpret my ethnicity results? How do I interpret the map and locations? What about the indigenous ethnicity that’s returned in my results? What does confidence percentage mean? What is a low confidence region? Why are my DNA results different from each testing kit? Why are my DNA results different from my family? Why don’t my DNA results match what I expected? Ancestry offers you Autosomal DNA testing that looks at over 700,000 markers that you have inherited from both your parents. However, this type of testing does not isolate the heritage of your maternal or paternal line. So, you cannot find out as such where your maternal ancestors originated came from, only where ‘your‘ ancestors came from. Ancestry DNA tests your DNA using advanced scientific techniques and looks at over 700,000 markers in your sample. These markers look at differences between your DNA and that within Ancestry’s sample. However, if your DNA is not of high quality then you will need to supply a new sample. With that said it is a good idea to be careful when providing your saliva sample. The database of DNA samples that Ancestry contains continues to grow. And over time you will get more accurate results. You will get updates from Ancestry as new information is collected. Ancestry DNA will compare your DNA test results with other Ancestry members. To further improve your matches Ancestry will compare the people contained within your family tree and the people in your match’s tree. With that in mind then it is a good idea for you to link your DNA test results to your family tree. You can do this by accessing your personal status page and going to Settings. Then scroll down and select the ‘Family Tree Linking‘ option. Here you will be able to link to your DNA results to your tree. Please note: At present you can only link your DNA results to one family tree that you have created on Ancestry.com. One of the key results that you get back from AncestryDNA is an estimate of your ethnicity. The keyword here is obviously “estimate“, where your DNA is compared to genetic profiles that have been gathered from a reference panel. The people that make up the reference panel have been chosen as they have deep-rooted ancestry within a particular region. In all, Ancestry DNA covers 150 regions all around the world, (updated from 26 regions). Your DNA is compared to each of these different regions and so the results, given as percentages, that you get back from the testing can tell you where your ancestors likely came from. Now that you understand about how your ethnicity is calculated I will explain how you can interpret the results of this testing. The results of your ethnicity testing is displayed to you in the form of a color coded pie chart. Here the chart is divided into wedges which are given percentages as to the likelihood of where your ancestors originated. So, it may show you that you have a score of 99% ethnicity originating from Europe. This can be broken down even further to include areas such as Great Britain, Ireland, or even Scandinavia. To help you interpret these results there is also a map showing you these locations which are color coordinated based on the results of the pie chart. This map is also interactive! So, you can click around the map, zoom in and gather even more details. Zooming in will then show you areas of varying degrees of shading. The darker the shading then the higher the chance that your ancestor originated from that area. This is a great tool to help you show you where next that you can look for further information. As your results are presented in a simple layout there will be some information that is omitted. The reason for this is just to make the presentation of your results as clear as possible. To gain further insights into your ancestry you just need to click onto each of the separate regions that you have a result for to see further information. If you click on the See all 150+ regions link you will then see all of the ethnicity regions. And you will also see them marked on the map. The numbers that appear to the right of each of these regions refer to Genetic Communities. These numbers will be the same for everybody and are NOT specific to you. They are merely a link to groups that can help you further with your research. From this section you will see the same color-coded dots for the regions that you have been identified with. Any region that you are not identified with will be colored with a grey dot. For further information please check out Genealogical Musings – AncestryDNA’s New Arrangement of Ethnicity and Genetic Communities. The second advantage of AncestryDNA is the possibility of matching you with other Ancestry members that have taken the test. If both you and your match have created an online family tree then you have access to a ‘Map and Locations‘ map. This is another great tool that will help you join the dots within your family history research. This map may display to you different colored pins of where your ancestors were born, the same for your DNA match and also any overlapping birth locations in both family trees. These pins may contain more than one person for each location. There is also a legend at the bottom of the map to help you decipher what all the different color coding means. The regions that your ancestors are likely to have come from are given as percentages as I have explained in the first question. If any of the regions return a value between 0 and 15% then these are known as ‘trace regions‘. As these percentages are quite low and these are estimates it may be that you actually do not have ancestors from these regions at all. However, in time as more genetic signatures are concerned these percentages for your trace regions may improve to give you more accurate results. So, it is well worth checking these values occasionally for updates. If you live within the United States then AncestryDNA may provide you with feedback as to whether you have Native American heritage. The testing may also show that you have indigenous ancestry within maybe Canada or Mexico. However, there is no way to determine which tribe that your ancestors belonged to. The confidence that you are matched with someone is given as a percentage. This value will help you to concentrate on the matches that matter. So, with a higher value the more chance that another Ancestry member who has taken the test is related to you. There are over 700,00 markers in your DNA that are tested and compared to other Ancestry members. The number of matching strands will determine how closely you are related to another Ancestry member. As Ancestry tests different populations the higher their confidence level will become. Below your major ethnicity results you may see some regions that are highlighted as low confidence. Typically these are regions with less than 4.5%, but they can go as high as 6%. It is difficult to say whether these particular regions, (or the other regions that you have been matched with), are truly accurate. They are after all an indication of confidence that you have some connection to a particular region. Do not disregard low confidence regions! These results show that you do have a little bit of DNA from these regions and so these low confidence regions should not be disregarded. Do these low confidence regions match what information that you already know? Are these low confidence regions a surprise to you? Are these low confidence regions in an area nearby where you know that your ancestors originated from? Finding out more about these regions may actually help you build out further branches of your family tree. And also it may help you discover ancestors that you never knew existed. What about different confidence regions between testing kits? You may have gotten a varying results for different confidence regions if you have used more than one testing kit. So, in this circumstance which one do you believe? To get more of a clue as to why this maybe the case just click on each of these regions. Here you will get a description of the region and the surrounding area for that region. Each testing company breaks up the world into different regions so it’s worth checking how these companies class these regions. Also, as the sample population and algorithms used to test your DNA will be different between companies then this can certainly throw up different results. Get your relatives tested – To help get more information about your ancestors you could actually ask your relatives to purchase an AncestryDNA. This will provide you with more results that you can use for your research. Upload your DNA results to GEDmatch – The GEDmatch website is a free service that you can use. Just upload your raw DNA data to the site and you will get more results for you to work with. Contact your DNA matches – Why not contact the people that you have been matched up with on Ancestry. Ask them if they have similar results with respect to low confidence regions. Following on from the previous question you have taken more than one DNA test from separate companies. And you probably have had different results from each of them. To answer that question you have to look at how the different companies test your DNA. And that comes down to 3 different factors. Testing algorithms – Each company has different algorithms used to test your DNA sample. Sample population – Your DNA is compared to a sample population of people that originated from regions of the world. Different companies will obviously have their own sample to work with. Possible regions – Each company has broken down the world into various regions, some more so than others. And the classification of these regions differ with each one. So look a bit closer at the fine details of the region that you have a result for. For further help and answers for this question please check out Melanie Mayo’s helpful Why You May Be Reading Your DNA Results All Wrong post. If you, your siblings and parents have taken DNA tests then you are probably wondering why they give different results. You’re probably asking yourself shouldn’t they be the same as you are family after all? Well, to answer that question it all comes down to the DNA you inherit from your ancestors. As no two people are alike, (twins excluded), then you obviously will have variances in your DNA between your family. So, this can answer the question as to why your results may vary. But also the sample population used to test each family member may have been different. This also can give differing results. Any variances though between you, your siblings and parents should be treated as more clues for your ancestry research. Therefore, do not dismiss these extra pieces of information. Why Don’t My DNA Results Match To What I Expected? This is a very common question asked by many people who have taken the AncestryDNA test. It can also be the most frustrating aspect of the test, when your results are totally different to what you thought your tests should have shown. DNA testing technology has come along way since it began about twenty years ago. But it still has a long way to go before it can be claimed as perfect. As Ancestry’s ethnicity algorithm and prediction models take time to improve there are three reasons why there will be unexpected results. Your genetic ethnicity results goes back further than how far you have traced your family tree. If your ancestors came from a certain area they may have genetic influences from other places. Your DNA doesn’t match closely with your ancestors. So, if you have received results that you were not expecting then please look a little closer at the results. With each region that you have a result for you can click on that to gain further information. From those regions you can see the surrounding areas where you may have possible ancestry from. All DNA testing companies will classify the regions of the world separately so it’s worth looking deeper into this. You don’t get 50% of DNA from your parents? One common query that I get from people regarding inheriting DNA from their parents is why don’t they get 50% of their DNA from their respective parent. For example, if your father is 100% Italian then you would naturally think that you would be 50% Italian. Well that’s not exactly the case. The reason for this is that we inherit 50% of our genes from each of our parents. And its those genes that contain just a sequence of your parent’s DNA. Please check out the Unexpected Ethnicity Results post from Ancestry which goes further into detail about this. DNA testing is a great tool for any genealogist who wants to further their family history research. But the results that you get back can be somewhat confusing. I therefore hope that I have answered any question or questions that have bothered you with this type of testing. If not then please feel free to contact me or comment below! A DNA test can help you to further your research. If you have hit a brick wall and want to move on then a test can help you to move on. Your results can show you where your ancestors originated from and so where you can look next for documents, records and any other type of material. So, if you discover that your ancestors came from a certain country then you can explore Ancestry’s database of records for that respected country. 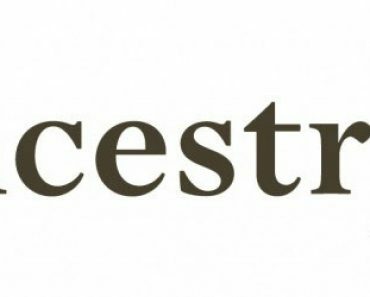 Also, with this type of testing you may connect with other Ancestry members as I have discussed in this post. A great advantage of this is the sharing of information that your match possesses. You can share with your match information regarding your side of the family and vice versa. Information that can be shared could be photos, documents, letters and whatever else and whatever else you can think of to share. You can further your family tree in this regard. If you have not tried AncestryDNA testing yet then I do recommend that you take the next step to help further your genealogy research. How to get more from DNA testing! Melanie Mayo from Family History Daily has come up with 5 ways that you can get more information from your DNA. In my opinion it is definitely worth looking more closer at your results as they can tell a lot about your ancestry. Educate yourself – Check out the descriptions for each of the regions that you have a match for. Take different DNA tests – Consider taking tests from different companies to see how each of them compares. 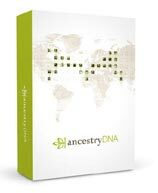 My The Best DNA Test For Your Ancestry Research post will help you decide which test to purchase. Get family involved – Why not get other family members to take the test. Doing so will give you more information that you can work with. Contact your matches – Make contact with the matches that show up. Collaboration between distant cousins will also give you more clues to your family’s past. Compare your results with research – Look at your results and see how they compare to what you already know about your genealogy. It can help you solidify what you already know but also throw you in a new direction. I hope you enjoyed this post discussing how to interpret your Ancestry DNA test results. If you have any questions or comments then please leave a comment below. 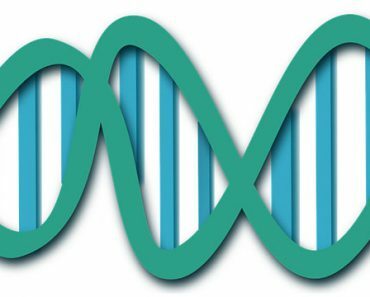 10 Tips For Contacting Your Ancestry DNA Matches! Had my test done through Ancestry, but what do cMs and Segments mean? Thanks for dropping by with your query. Basically this is scientific information that you get about your matches. Here’s an article from Ancestry explaining this shared DNA feature. I guess I was misunderstood. I wasn’t referring to people who I have shared matches with, like first, second, or third cousins. One can go to the world map and scroll from 1700 up to the 1900s. On each date upward it shows a number in the map and clicking on the number opens up a list of ancestors on my tree. How were those people identified? By having them identified, does that help verify that they are indeed ancestors? Can we cite the DNA match as additional proof? I’m yet to take this particular DNA test, and can’t seem to find an answer to your query. For that reason I would like to hand you over to Mercedes at Who Are You Made Of? She has a dedicated DNA blog where she explains everything about DNA and all the various tests that are available. You can find her contact details at the bottom of the About Me. Please let me know how you get on. I will have to add this query to this page. How do I use the “People in my tree” list? Can I say that these people are definitely linked to me or not? What additional proof do I need? Thanks for the query. I hope that this discussion on the Ancestry Support board will help clarify this for you.